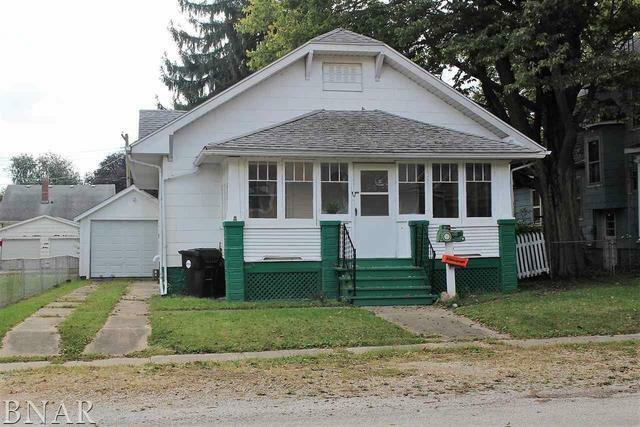 This quaint bungalow features a large enclosed front porch, 3 bedrooms and 1 full bath. The full basement is unfinished but has washer and dryer hookups ready to go. There are 2 single-car garages with one having access off of alley. Updates include: Newer roof on house and garages (2014) ,New electrical box, new laminate flooring except in bathroom and new walk-in doors on both garages (2017), new furnace and central air (2018). *All appliances stay but are not warranted.